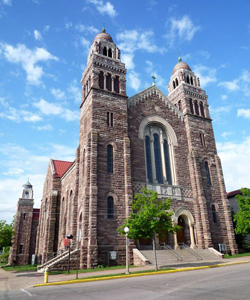 The Diocesan Council of Marquette, MI – Society of St. Vincent de Paul Corporate Communion will be Sunday, September 22, 2019 at St. Peter Cathedral in Marquette, MI. Bishop John F. Doerfler will preside at the 10:30 a.m. (EDT) mass for the Vincentians. Following mass, there will be a brunch in the parish hall for the members and their spouses. Reservations are required and cost of the brunch is $10 per person.